Hello friends! I'm very excited to offer a kit for the Christmas season. 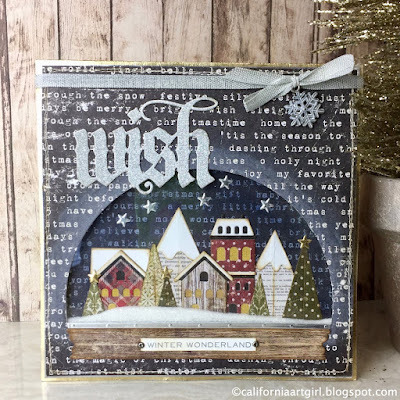 "Believe in the Magic of Christmas" is created from some of my favorites from the Tim Holtz Holiday release. I hope you will enjoy making it as much as I did! 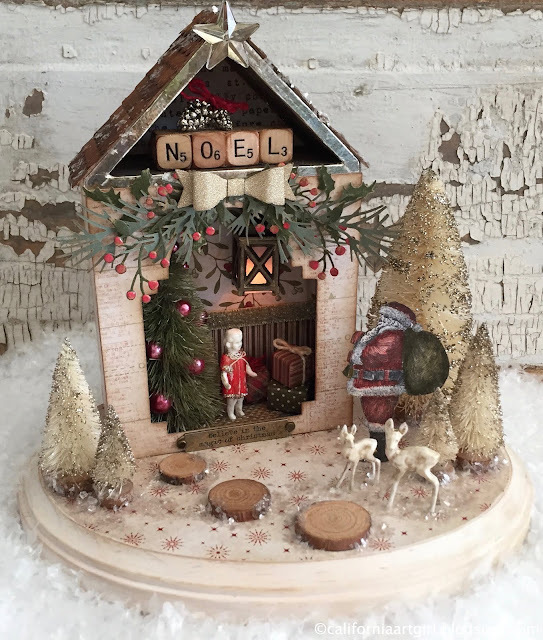 Create a magical assemblage piece for the holidays filled with special treasures. 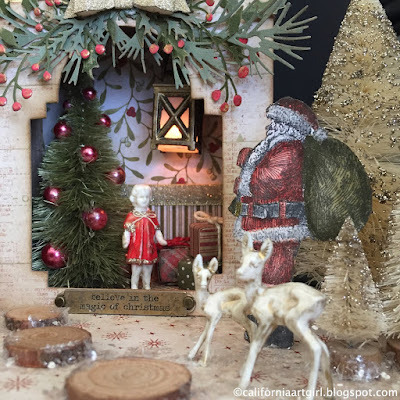 The little deers watching Santa deliver presents to the little girl in her special holiday dress, beautiful glittered trees in the forest and even a beautiful tree with ornaments bring this piece to life. This winter assemblage piece is on a 7" x 9" oval wood base. 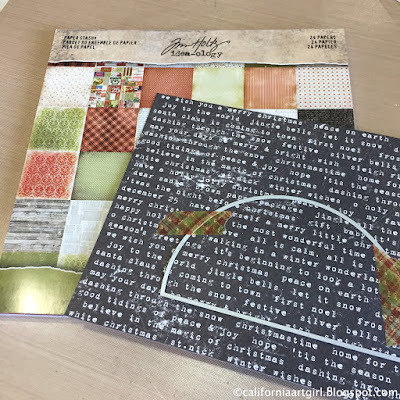 A full tutorials including 50+ step photos makes it easy for you to create this project. Kit includes 7" x 9" wood base, House, all die cut pieces, Santa, Mini Lantern with batteries, Alpha Dice (full set), 6 Trees, 2 Deer, 2 Pinecones, Fractured Doll, 3 wood stepping stones, all papers cut to size, Cherry Accents, Distress Glitter (Vintage Platinum + Rock Candy), Mica flakes and complete tutorial with over 50+ photos. *Inks, paints and adhesive not included. Please include your PayPal address for invoicing. 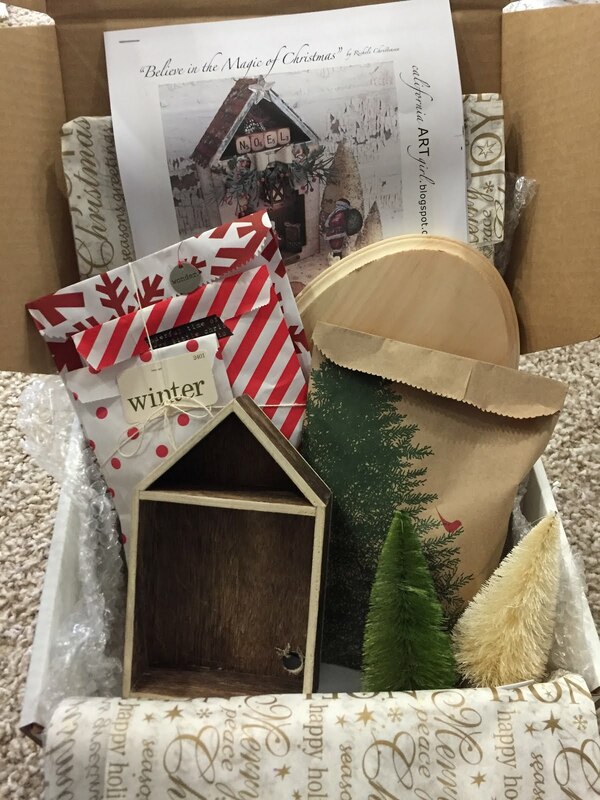 Your kit will come beautifully package so you feel like you're opening a present on Christmas morning! Hello all! Do you remember being a kid and loving Snowglobes at Christmastime? I sure do, I still have some and look forward to displaying them during the holidays. 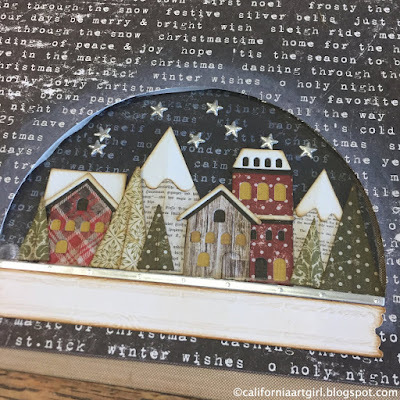 Tim Holtz has a beautiful Thinlits die called Snowglobe and it takes me back to my childhood. Love the details of the houses, they even have doors and windows. No scene would be complete without a few trees and some snowcap mountains. 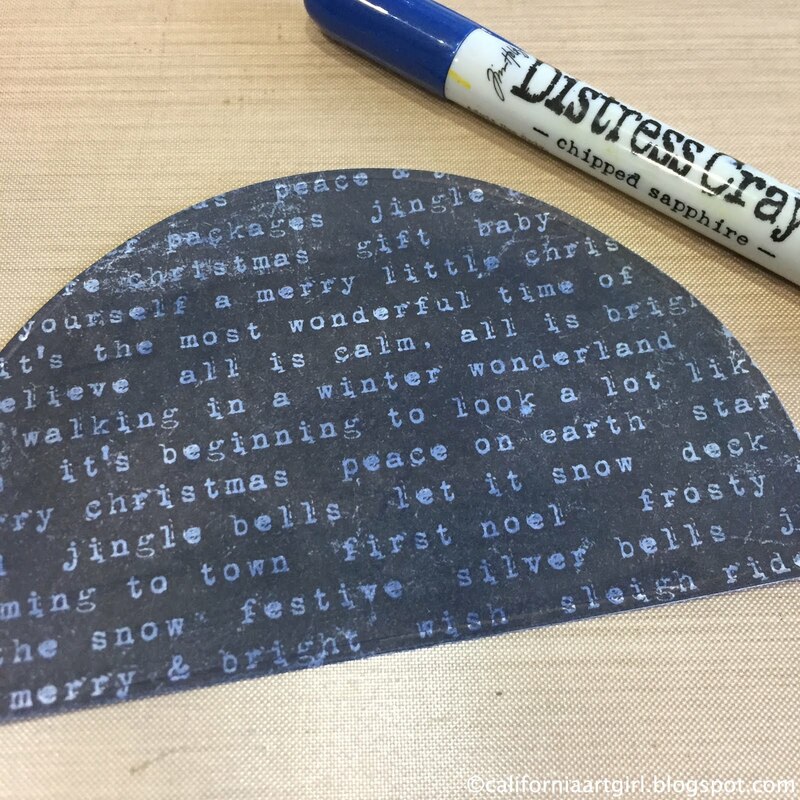 And even little tiny stars to go with the trees or you can put them in the sky like I did. For our card position the Sizzix Alterations Snowglobe die over the cardstock and tape in position to die cut the shape. Love this years Paper Stash called Tidings the soft greens and reds give this paper line a vintage feel that perfect for Christmas. 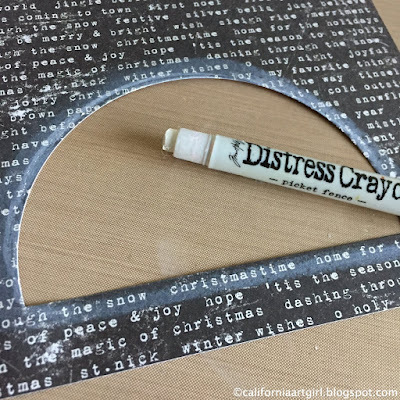 Apply Picket Fence Distress Crayon to the edge of the Snowglobe opening and smudge with you finger to blend out the edges. The Picket Fence edges will add a little glow around the Snowglobe. Cut a piece of acetate to cover the opening and adhere with Glossy Accents. Be sure to get the Glossy Accents close to the die cut edge. 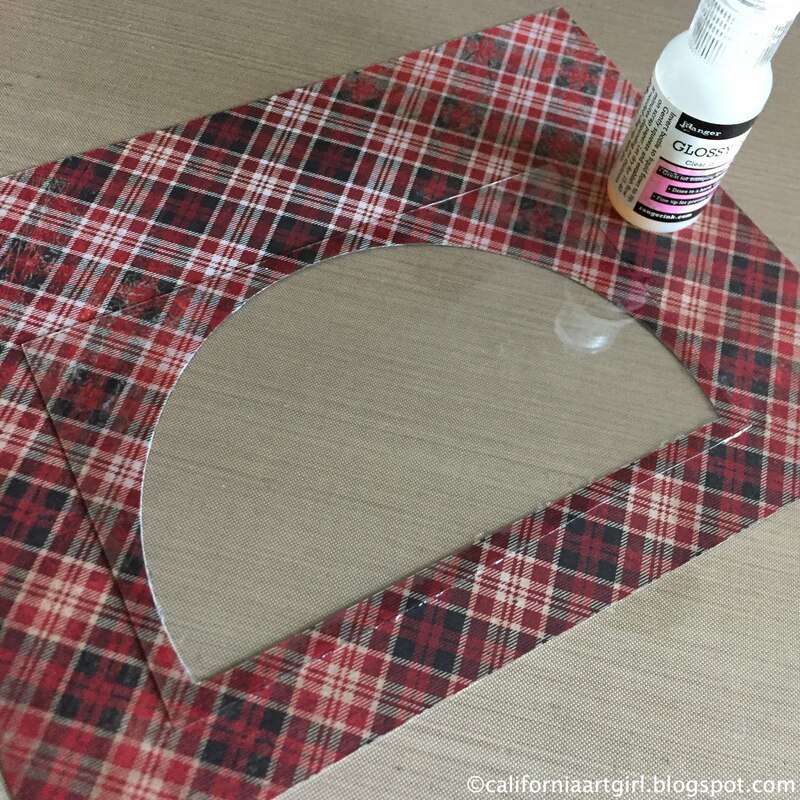 Add foam tape around the edge of the Snowglobe. Tip: if you remove the paper backer from the tape it's much easier to add the tape on the cured areas. 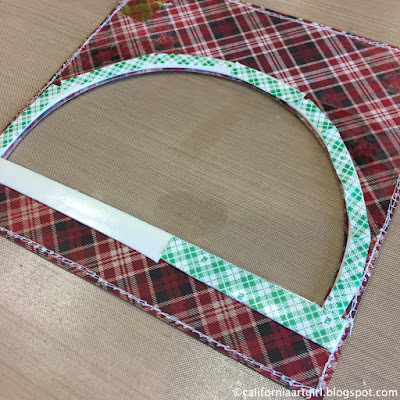 Add a second layer of foam tape to create depth. Optional: Sew around the edge of the card. 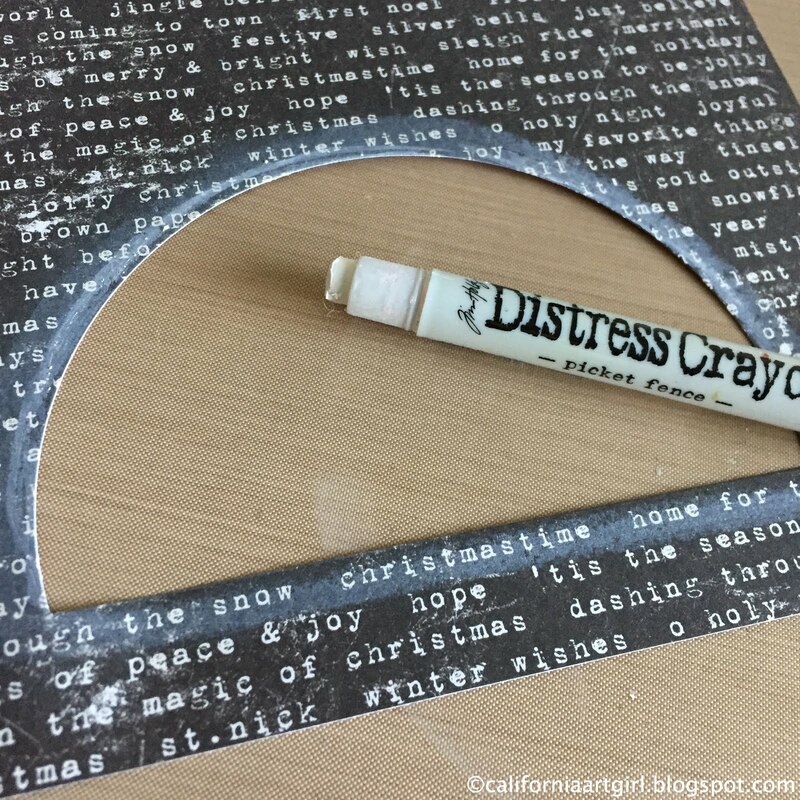 Apply Distress Crayon to the inside of the Snowglobe and smug with your finger, add a little water to you finger if needed to help the crayon spread out. Chipped Sapphire makes it look like a night sky. 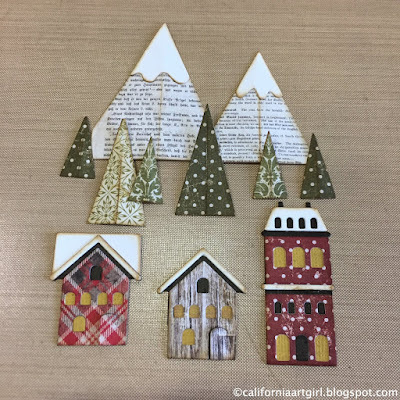 Die cut and assemble the houses, trees and the snowcap mountains. The die cuts all the pieces you need. The windows are a little rectangle that fits behind all the houses perfectly. The trees and mountains have a scoreline to add shape. 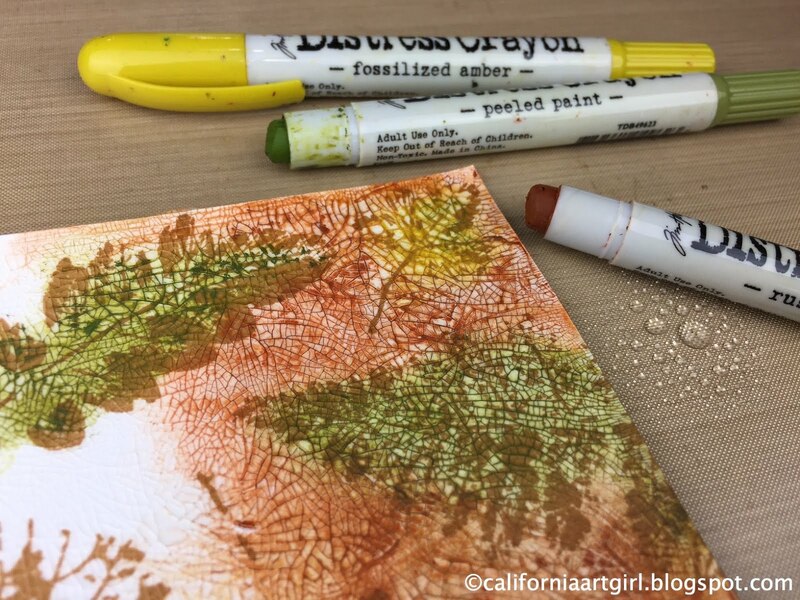 Add Distress Ink with an Ink Blending Tool to the edges as desired. Die cut the Base of the Snowglobe from Woodgrain cardstock. 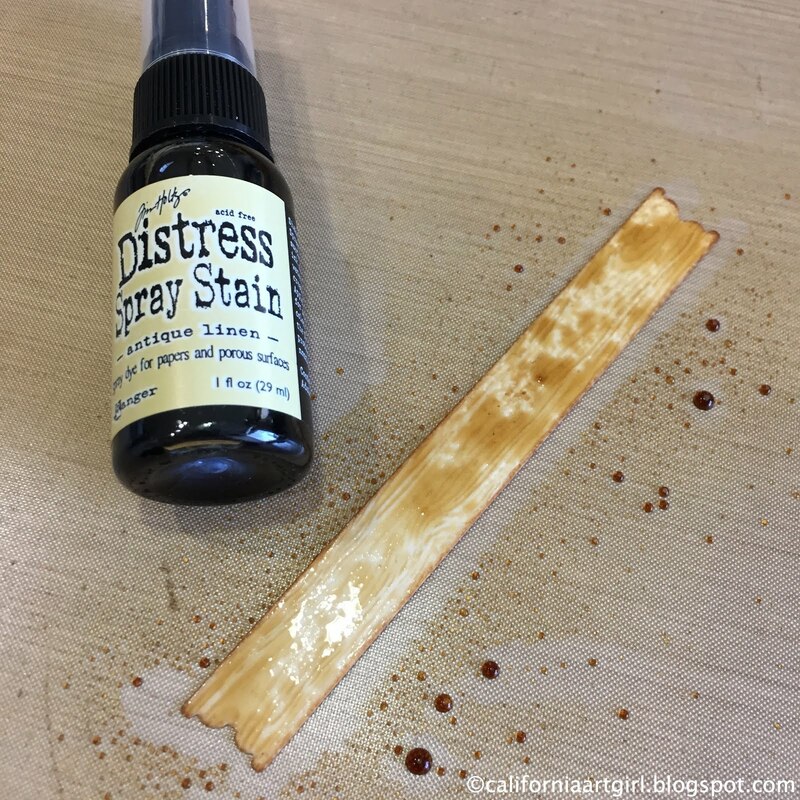 Spray Antique Linen Distress Spray Stain over the base of the Snowglobe and let dry. Ink with Vintage Photo Distress Ink with an Ink Blending Tool. Add all the layers together. Leave a small opening at the top of the Snowglobe to add the Distress Glitter. I left a piece of the tape backing at the top so it wouldn't stick together. 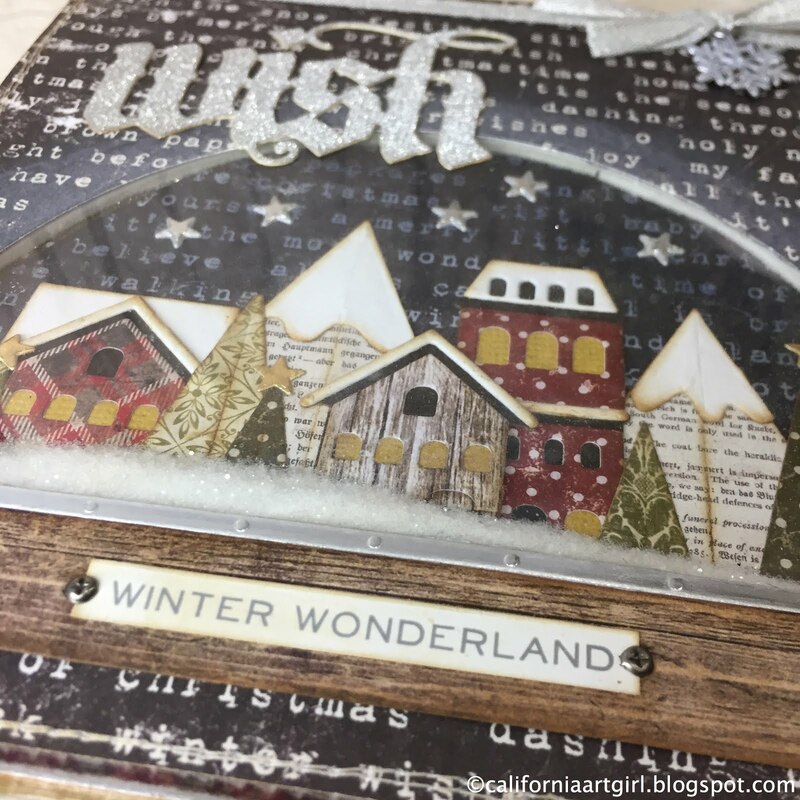 Add Rock Candy Distress Glitter inside the SnowGlobe. Once you have the right amount seal the card. 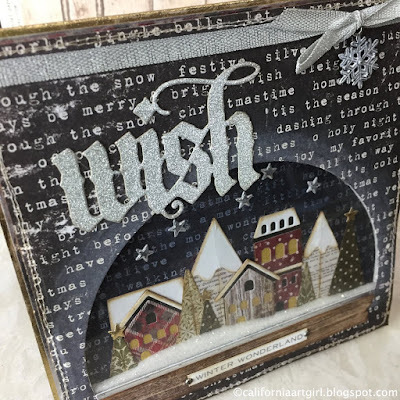 Die cut the "Wish" from silver Deco Sheet that has been mounted to a piece of cardstock using the Vintage Tidings Thinlits die. Embellish the card with Metallic Trimmings and a Adornment Snowflake, Holiday Talk Metallic Stickers and a few Mini Fasteners. Who wouldn't love to receive a special card like this? You can get all the goodies over at Simon Says Stamp. Hello everyone! 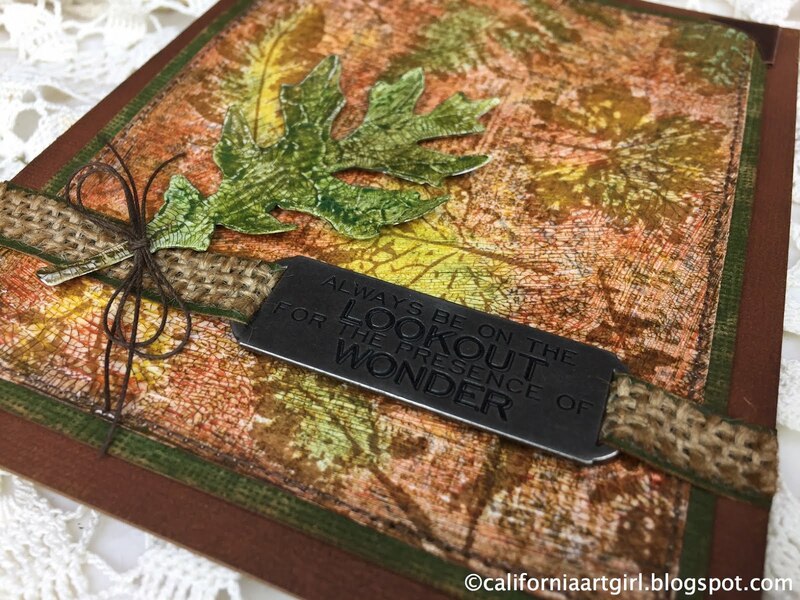 I'm so excited to have my project over on the Ranger Ink blog today. 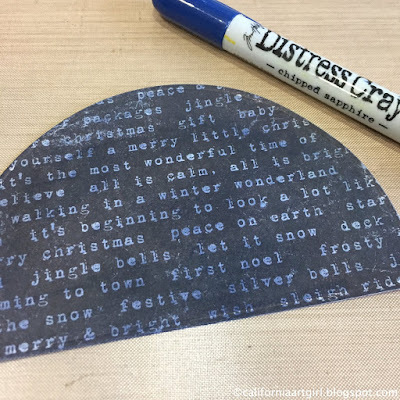 The card features Distress Collage Medium in Crazing over a stamped or die cut image and coloring with Distress Crayons. This is one of my favorite techniques to do with the Distress Crazing! I hope you will take a look at the full tutorial over on the Ranger Blog. 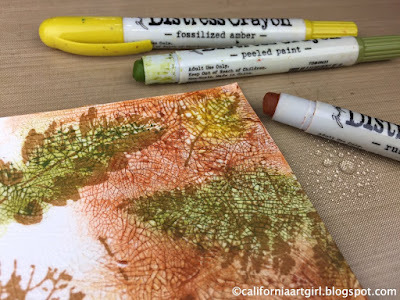 Look at how the Crazing is brought to life when colored with the Distress Crayons. Check it out on the Ranger Ink blog.